Hi Cinda, you wrote on my blog – I really appreciate that! I thought I’d check out yours and it looks quite interesting indeed. I read the plot summary of your book of Alicia in Colombia. I’d like to read it. I always just borrow ebooks from my public library (across the ocean) because I live in Spain. Where can I buy/get this book of yours? Please let me know, it seems very interesting. People with e-readers have found it on Barnes& Noble (Nook) and Smashwords too (use my full name to search). I’ve never tried this, but I do have this type of file I could try to send you. Contact me on my Author Page: https://cindamackinnon.wordpress.com/about/ (your email address will not be public) if interested. I want to add my voice to recommend this lovely novel. I enjoyed learning about coffee-growing, about Colombia’s people and botanical and geological features. Love in the story is understated but unmistakably deep and powerful and compels the reader onward: love of the hard landscape, love of family, romantic love and love of children. I look forward to the writer’s next novel! Dr. Young – thank you so much for taking the time to write these musical words! Love reading about all you do. Keep up the good work. What an absolutely gorgeous cover! Hi Cinda — Looking forward to explore your blog and get acquainted with your work. Best — Fernando T.
I have finally found (and bought) the ebook on Amazon uk. Without the magic name Crabbe, it refused to appear. Delighted to hear you are planning to read my novel! I can tell from your “blog website” (above) que vous êtes français (or at least French speaking). I love hearing from different cultures and people around the world. Je suis ravi que vous lisez mon livre. Merci de m’avoir écrit! Thank you Wynne. I see on your blog you are Poet of the Year in Mississippi – congrats to you too! Cinda, I love the cover photo. Is it a repro of an old painting? Thank you – I’m rather fond of the cover myself – in fact a copy hangs on a wall in my house. It is indeed from an old painting (1901) by Martin J. Heade. He did a series of oil paintings with a hummingbird hovering near orchids. It was the perfect illustration for this novel set in a cloud forest. Thank you Sandra. The cover is from a favorite painting by Martin J Heade of a cloud forest in the Amazon and it so captures the essence of the book. The designers were not showing me anything I liked, then my husband suggested “that painting” I had always loved at a San Francisco museum– I knew at once this was it. This story is inspiring and galvanizing – a woman overcoming adversity to keep her life’s purpose afloat amid a ‘man’s world.’ I love the characters – especially the Colombians, who show the importance of family in this culture. It’s always interesting to read one’s work which was perhaps drawn from the author’s personal experience (à la Dostoyevsky with his character Raskolnikov, maybe!). Hello Cinda, I went and read the first part of your novel at Amazon, really enjoyed it. How much research did you for your book? I myself am an expat in Russia. Living outside of the States is a real eye opener. I’ve never been to central or South America but would love to visit some day. I think I got a built in Adventure bug from my Grandmother, she traveled all over the world. Now I just need to figure out how to buy a copy of your book safely. Online purchases from Russia are dangerous. Hi Archecotech! I did a lot of research even though I grew up in Colombia. Some of it was “scholarly” but it was also an excuse to visit rainforests, coffee fincas and travel. Are online purchases dangerous because (to your) your credit information? Let me know if I can send it to you somehow. I enjoy reading your blog. Hi Sandra – welcome to A Place in the World!. BTW your URL doesn’t seem to work – could it be mis-spelled? thank you for liking my post . I am not an expat but enjoy learning about other cultures. I am a grandmother from Toronto Canada and I am spending a few of the winter months in Florida. Luck with your endeavours and have a great holiday season. I enjoy your blogs. Maybe someday I could do a guest post on your site? If you would like to guest post with me some time I’m always interested in expats and other writers – just tell me more! I finally got around to downloading “A Place in the World” on to My I Pad. I think it is wonderful that you have won awards. Way to Go! I am looking forward to reading your novel. Since my husband passed away I haven’t had the patience or concentration to read but i think it is time to get back to books. Elaine – I’m delighted to hear that you want to read my novel and so hope you enjoy it and can get lost in the story. I hope to hear from you when you finish. I was going to contact you ( about Guest posting) but when I read about your husband I knew that would be the last thing on your mind. I’m shocked and saddened by how many of my friends have lost their husbands recently. Take care of yourself and thanks for writing. Cinda your book looks like one I would like to read. I will check it out on Goodreads. I find i am busy doing posts on WordPress and Facebook , but want to get more involved with Goodreads. Writing is easy, but marketing is the pits,I am thinking of putting my E. book on Amazon Select. 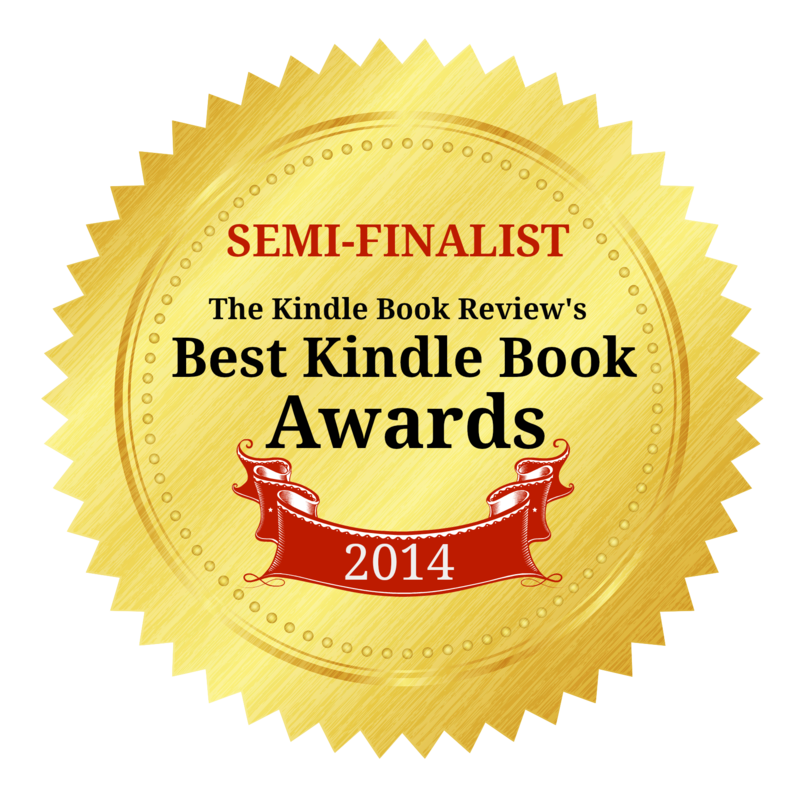 I hope you will check out my reviews at http://amzn.to/19wSFfX and decide to read it! I hear you about the promotion business: blogging, emails and Facebook have so far kept me from more creative writing – but I vow that will change next month – although I must say I have “met” some interesting people blogging and enjoy the comments I get, so that keeps me going. I too have not taken full advantage of Goodreads – I plan on doing their freebie soon. I urge you to consider an eBook. I have the print version I wanted, but have found in the 6 mo. it has been available, I have over 20 times the number of readers going for the eBook than the print book! It sells for a fraction of the print book, but it all adds up (and soon surpassed the revenue the publisher sends me). I gave Amazon exclusive rights for their 3 mo. minimum and then added Smashwords because they sell it on all e-venues for you (and a few readers asked me for that). Lovely having you on my blog, hope you had fun while responding to comments. All the best with your book! Thank you so much Damyanti. It was an honor to be on your blog – you seem to have a huge following of interesting writers. nice blog! I read your book – twice. I hope you have time to snorkle there by Roatán and Guanaja. As spectacular as the Great Barrier Reef! 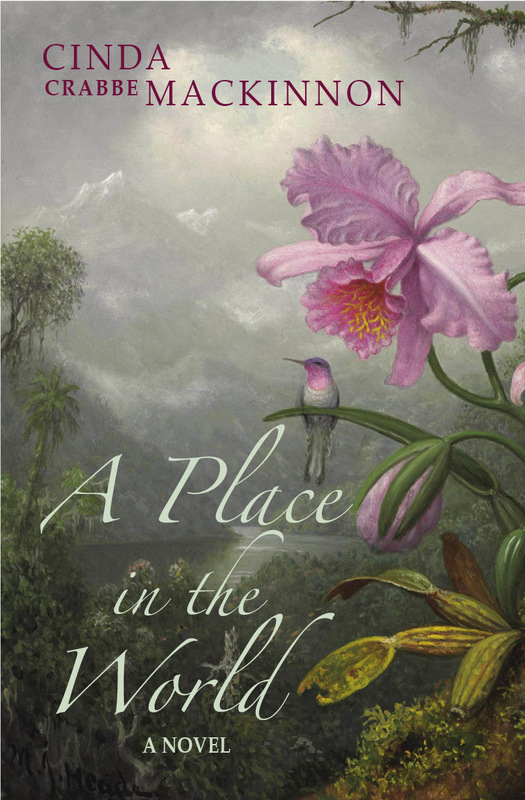 hi Cinda, Seeing the cover of your novel above, I figured out why your name seemed familiar to me when it appeared beside activity on my own blog — “A Place in the World” is on my ‘want to read’ list on Goodreads! Thanks for bringing it to my attention again. I’m delighted that A Place in the World is on your “want to read” list! I hope it makes it to the top of your list soon (if you are like me you may have a long one!) and you enjoy it. PS Sorry I am late in answering. I remember replying, but don’t see it here – so it may have gotten lost in cyberspace! Thanks William – it’s a date! I have not seen my post or Gene’s. Should it be on this page, or am I going to the wrong place? I guess I don’t see what you see. But lets try to get you on-board. Are you doing this: when you get to the website there are three headings- Home, Author and Blog. Click On BLOG! That should immediately take you to the most recent post – which is now Gene’s. You should be able to scroll down to see yours. If not, there is a search box on the middle right side and you can click on “Expat” ( or Colombia) and all three of the Expat blogs should roll up. Alternatively you can enter “Expat” ( or”Peru”) and your blog should show. My sister was having trouble because she was stuck on the HOme page – the trick was getting to the Blog for her – and I suspect for you. Sorry you are having trouble but try again. Let me know how it goes – I’m pretty sure anyone can access it. Welcome! Thanks for following me. Hi Cinda, are you still in Colombia? How’s it going? Hi WIll, Yes have a couple more days here and hope to have some more posts with pictures. Then off to Roatan, Honduras. wow! That’s great! I’ve heard is beautiful there. A group of people I know go once a year on a mission’s trip. I am just back but “pretending I’m still there” as I have two more posts with pictures I would like to make. I have a question for you. (I’m new to blogging this year.) If I want to reblog something you wrote what is the protocol? Do I ask for permission – or does everyone want to be reblogged? If I click “press this” will it show up on my blog but automatically credit you? Hi Cinda, some people do want to be asked before you reblog one of their posts, so I would ask them first. It will show up on your bog but it will be linked back on their blog. So yes, it does give credit to the author. Winter in Toronto is cruel. I have been living here for 25 years and I am still not used to it. I don’t think I’ll ever be. That’s why we’re planning on moving to Colombia next year. We are looking forward to it. Can’t wait to see more photographs from Bogota.